My name is Changhee Jung, and I'm currently a Master student at Seoul National University working towards my bright(?) future in Advanced Compiler Research Laboratory led by Prof. Jaejin Lee. My research interests include compilers and computer architectures for both high performance and embedded computing. Recently, much of my research has focused on helper thread prefetching and adaptive execution techniques for modern multiprocessor architectures. These techniques target CMP(Chip Multi-Processor), SMT(Simultaneous Multi-Threading) multi-processor, and intelligent memory architectures. If you're pressing need to contact me on a sudden, e-mail is usually the best way. 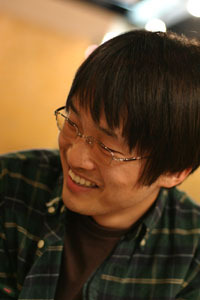 As of February 2005, I have left Seoul Nationl University, and I am now working at ETRI. Proceedings of the 7th ACM & IEEE SIGBED Conference on Embedded Software (EMSOFT'07), Salzburg, Austria, October 2007. Proceedings of the 20th IEEE International Parallel & Distributed Processing Symposium (IPDPS'06), Rhodes Island, Greece, April 2006. Proceedings of the 10th ACM SIGPLAN Symposium on Principles and Practice of Parallel Programming (PPoPP'05), Chicago, Illinois, June 2005. I came to receive 5 million Korean Won, which is about $5000, from Samsung Electronics for the prize above.